MANILA, Philippines — Turtles represent longevity and good luck, and that’s certainly true for 18 rare smuggled turtles that were returned from Hong Kong to their native Philippines. 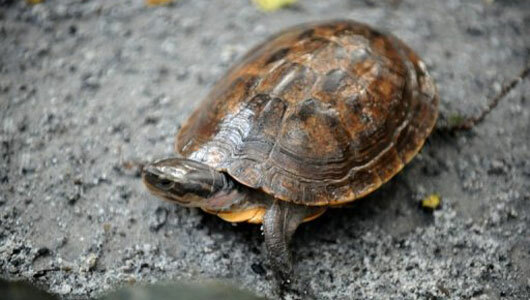 Philippine Wildlife Bureau head Mundita Lim says the pond turtles were confiscated at the Hong Kong airport in February from a Chinese student, along with 13 more common box turtles. 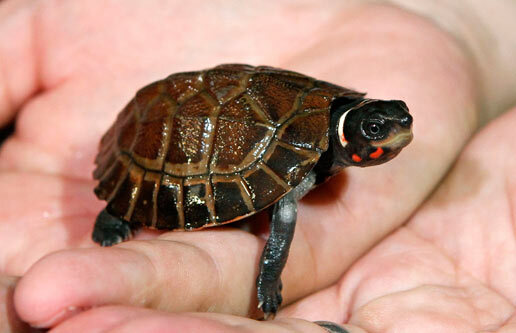 Pond turtles (Siebenrockiella leytensis) live only in forests on Palawan Island southwest of Manila. Only about 120 remain in the wild. Lim says they are prized as novelty pets or food. Philippine officials took the unprecedented step of traveling to Hong Kong and retrieving the turtles because they are so rare. 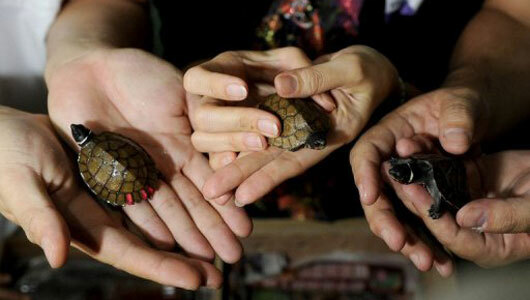 Palawan’s governor received the turtles at the Manila airport Friday. The 18 will be rehabilitated before being released in the wild.